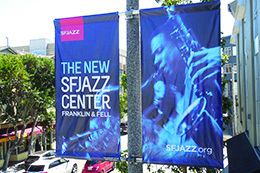 Across the Street Banners are extremely popular within the local communities as well as municipalities for various events, festivals, and activities. AGMedia can handle the entire process from concept to installation including permit coordinaton throughout California and beyond. 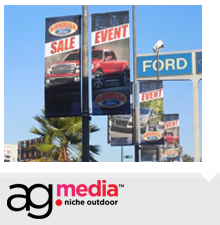 AGMedia are the largest provider of light pole banners in Los Angeles and surrounding areas. We are the long-term, exclusive partner of choice for leading cultural, civic, governmental and non-profit organizations in Los Angeles and Southern California; our clients enjoy high standards and exceptional service, and impressive results. 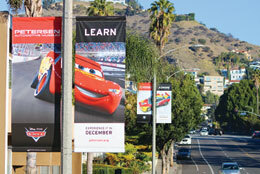 Large format design must not only arrest the eye, but support the brand and inspire the target audience. 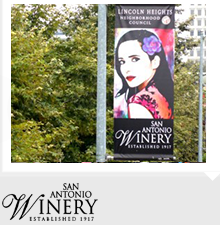 Our creative team understands the value of delivering a banner program that not only integrates well with your current branding, but one that creates an emotional response and connection with your target audience. AGMedia’s investment in leading edge large format print technology gives us the ability to be able to produce all products in-house. 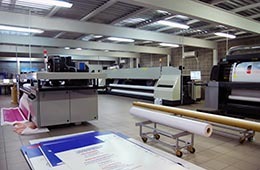 Our highly trained and committed team, combined with the latest colour management and pre-flighting systems, ensure that the highest quality, color consistency and accuracy are maintained at all times. 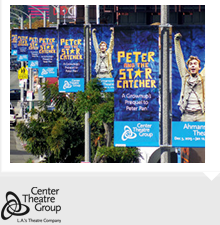 Our large format printers, with roll-to-roll and direct-to-substrate capability, allow us to print onto a vast range of outdoor advertising media. AGMedia have an experienced team of installers across Southern California and beyond. Our installers have vast experience in outdoor advertising installation and are all fully licensed and insured, making sure your next outdoor advertising program is always implemented to the highest standards. © 2019 AGMedia. All Rights Reserved. AGMedia is part of The AmGraph Group.